SMEC Automation presents Oil Batching and Blending Systems from VAF Instruments. VAF Instruments designs, builds and manufactures in-line blending systems which produce specifically defined grades of oil in any quantity, with utmost speed and accuracy. We are highly acknowledged organization engaged in presenting a remarkable range of Blender machine. Capitalizing on our industry experience, we bring forward a superior quality range of Kitchen Mixer Grinders. These have very powerful motors, which are capable of transforming various edible items into powder form. Further, these can run for sustained duration of time with optimum power utilization. Moreover, our range of mixis can be availed at market leading prices. 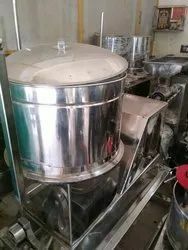 This machine is suitable for mixing syrups and liquids. 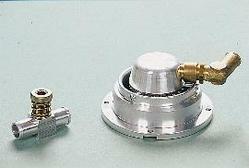 The stirring shaft and propellers are made of stainless steel. The height of the stirring shaft can be adjusted.